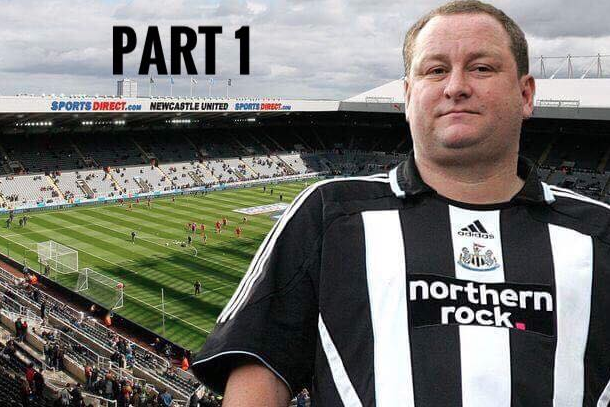 Mike Ashley’s Poundstretcher Summer Transfer Window – Part 1 – Strikers – NUFC blog – Newcastle United blog – NUFC Fixtures, News and Forum. There will undoubtedly be a number of players who will leave this year. Whether that is for age reasons, family reasons or because they would be better suited to working at McDonald’s there will be an overhaul. Now we all know that you have more chance of borrowing a fiver from a tramp than getting Ashley to pay the going rate for Premier League standard players. I believe Almiron doesn’t count because Gregg’s had a sale on; and the big man was so giddy he would have bought Rafa a country if he had asked. Transfer fee: £5.00 or £5mil if the Chinese come back in for him. We all know the premier league is a class (or 2) above where Joselu should be playing; but bless the lad he works his socks off and deserves to be playing somewhere that when he comes onto the pitch he doesn’t have to hear 104,000 eyes rolling, so China is probably for him. It has become a cliché that follows him everywhere: “too good for The Championship but not good enough for the Premier League”. The thing about clichés is that they are usually true! If West Bromwich Albion don’t come up they may want to do a deal against Rondon; but if they do they will just ask for Rondon back. A good move for Gayle would be either Scotland, Holland or Belgium but I see a relegated team buying him in all honesty. Rafa wants Rondon! We want Rondon! Rondon wants to stay! Ashley wants leverage so I see Rondon staying if West Brom don’t come up. However, if The Baggies do come up I see Ashley using Rondon as leverage in a twisted Hannibal Lector esque game of “Quid Pro Quo” although instead of eating Rafa’s liver with fava beans and a nice bottle of Chianti he will probably settle for a steak bake and twelve pints of Carling! Sturridge has a boat load to offer at Premier league level and has a good 4 or 5 years left in him. Mike may balk at his wages but he is out of contract this summer and has only played 11 games this season so he will be looking for first team football. There are those that will point to his injury record; but when the lad costs you nothing and you factor in that you may only get 25 games a season out of him you can cut your cloth accordingly. I like Welbeck. He can play as a wide forward or lead the line. If you play him he will get you 10+ goals per season; and best of all just like Sturrige he is free. Also just like Sturrige he will cost Ashley 80,000 Chicken Bakes and a sausage roll per week in wages. Austin would be a good squad player…way better than Joselu and the Saints want to sell. Added bonus we could be treated to some world class rants if things don’t go his way! A bit lazy this one but again if you get Sturridge and Ings for £12mil you will certainly get 38 games out of the two of them! Pick three of the above and you could easily end up £10mil in profit to spend elsewhere. Next time: Midfielders in ‘Part 2’..
Ings is out of contract in the summer as well.